So last week I showed you the "Rose Quartz" inspired polish by Milani called Pink Beige. Today I have the "Serenity" inspired polish named Peri-Wink. I used a base coat of Duri Rejuvacote, 3 coats of polish and finished with Glisten & Glow H K Girl top coat. 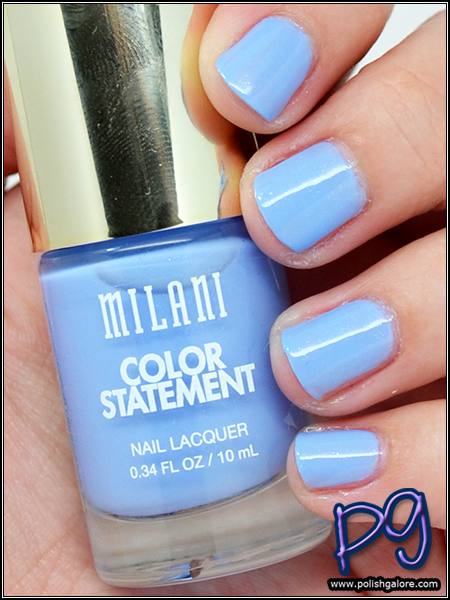 The formula on this polish was a little thinner, a little streaker, and that's why I needed three coats. Also this polish has this teeny tiny blue shimmer that it's really hidden but also makes the polish dry slightly matte. I always wear top coat unless the polish is supposed to be matte like with Zoya or some of the China Glaze polishes. Typically even then, I will put top coat and a final coat of polish to give the matte effect without compromising in long lasting polish. However for this polish, I felt like it needed top coat for shine and to allow that shimmer to MAYBE show through. This is definitely a more baby blue than I expected originally but it's still pretty. I think I can get away with wearing this in the office as it's not too in your face. I do wish the shimmer came across more. 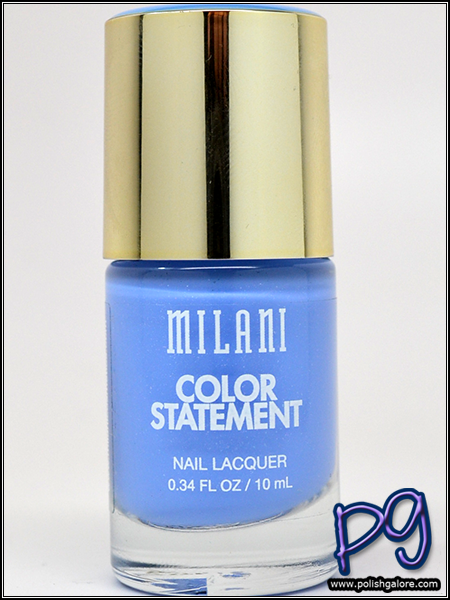 You can visit Milani on their website and purchase directly or buy it in stores like CVS/pharmacy or Walgreens for around $3.99. You can Like them on Facebook, follow their Twitter, follow on Instagram and subscribe to their YouTube Channel.